When writing content on your website, we always encourage our clients to be mindful of SEO. The content itself is a vital element to help your page rank well in Google and the way it is structured is important for both search engines and users alike. However, many small businesses like to write their content in-house, therefore, we suggest sticking to the basics of SEO to make sure the content writing process has considered basic practices and user intent. Aim for around 300-500 words per page. Anything less is ‘thin content’ and won’t be preferred by Google. Every page needs a header. This should be short and describe the service and will be within the H1 on the page. You should try to have subheaders in the content. This helps people scan the content and make sure it is the right page with the information they’re looking for. Content underneath each subheading should be around 250-500 words. Where possible you should be adding images into the pages. Make sure these are named correctly and that you include alt text to allow search engines to understand what the picture is showing. Do not copy content from other websites. Duplicate content will not help your site and can get you a penalty from Google. 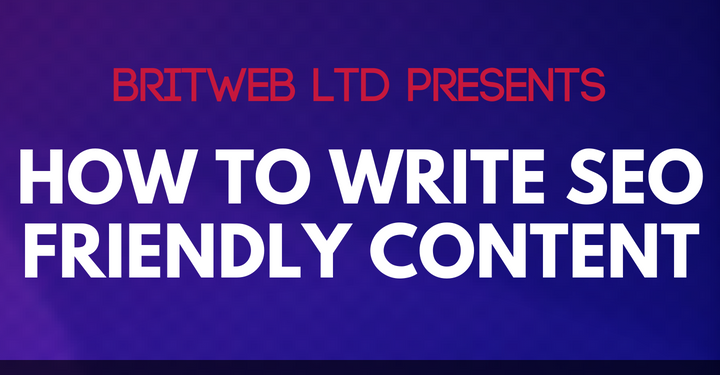 If you require help with content writing or SEO, please get in contact today by emailing info@britweb.co.uk or calling 01403 261491.